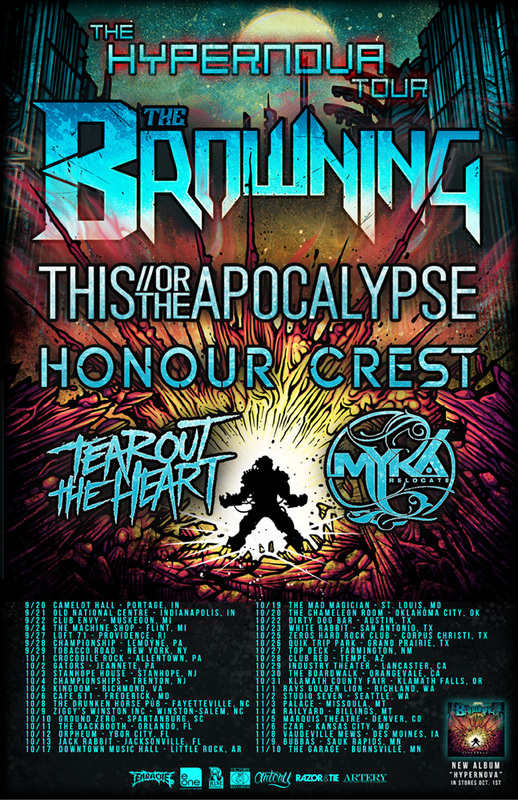 Electronic metal band The Browning have announced a headline tour of the US to support their highly anticipated new album Hypernova. The Hypernova tour is set to kick on 20th September in Portage, Indiana and will feature support from This or The Apocalypse, Honour Crest, Tear Out The Heart and Myka Relocate. Oct. 09 – Winston-Salem, NC – Ziggy’s Winston Inc.
Hypernova is due to be released on 1st October in the USA via Century Media/Earache Records, and on 7th October in Europe via Earache Records. The album was recorded at Planet Red Studios in Richmond, Virginia with producer Andreas Magnusson (The Black Dahlia Murder, Impending Doom). Already with a busy schedule, Rivers Of Nihil have added a US tour supporting Beneath The Massacre in October this year. 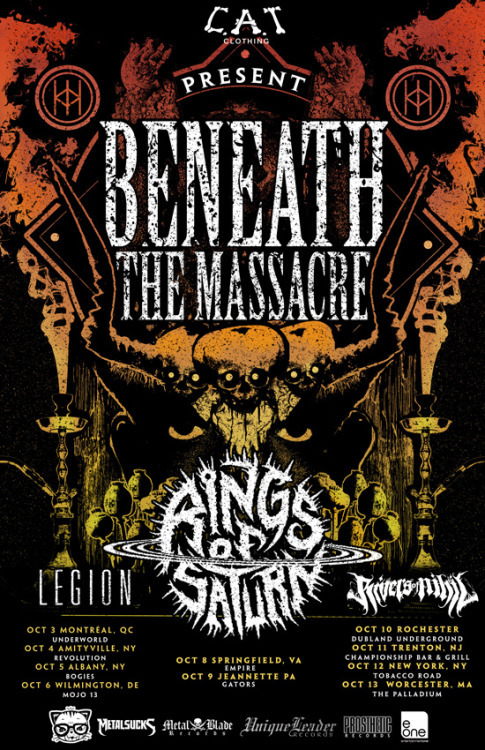 Other bands on the tour are Rings Of Saturn and Legion. The tour will see Rivers Of Nihil hit the US east coast and confirmed dates can be viewed below. Additionally, the band have now released the first of three studio videos, recording their progress and time in the studio. The video can be found at this location where fans can also listen to Rain Eater. Working with Erik was a true privilege. Coming from the DIY circuit and immediately recording with one of greatest death metal producers of all time pushed us all more than we ever could have expected, both as musicians and as people. 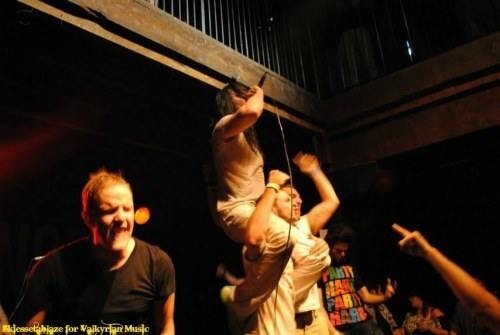 We have grown tremendously as a band in all aspects because of our experience with Erik. I am especially proud to be honouring our troops. Our military service men and women don’t choose war, but rather choose defending our freedom. For this we must be grateful. As we celebrate the return of our brave soldiers and wounded veterans, we will never forget those who gave their lives. A celebration for those who have served without fear and prejudice is in order. It’s time to release our third album, and things have never felt this clear and pervasive before. This is a feeling that has permeated our whole lives during the latest year of writing and recording this album, as well as digesting and dealing with its consequences. And it has been wonderful, overwhelming and utterly devastating. Which, in the world of In Solitude, are very positive things, and exactly what was required. It is a very special album for us, and I am very thankful and proud of my brothers (including our great friend, and producer, Martin Konie Ehrencrona), for this is truly the most visceral music we’ve ever made, and we can’t wait for you to experience it too. You come without. And all falls within. There is a light in the world. There is a stone to the head. Sister was recorded at Studio Cobra in Stockholm, Sweden during March 2013. The album was produced and mixed by Martin “Konie” Ehrencrona and stands as a logical next step above and beyond its predecessor, The World.The Flesh.The Devil. In Solitude‘s strength resides in their ability to craft dark and oppressive atmospheres within the auditory realm of classic heavy metal.Sister compounds this trademark sound further, beginning with the acoustic intro, He Comes and saturates the record in an aura of uniqueness; see: Lavender and the title track. 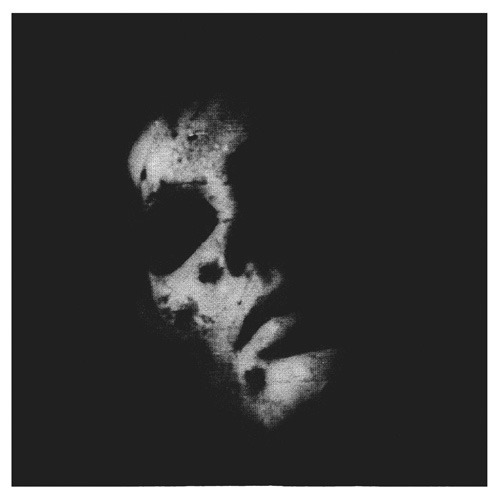 The album concludes with an 8-minute, driving, near trance-like opus that features guest guitarist Pelle Forsberg (Watain). Additionally, Jarboe of Swans fame can be heard on Horses in the Ground. Moods range from Mercyful Fate-esque guitar flavors, shadows of Black Sabbath, the heavy dissonance of Swans, to straight-forward, ear worm riffs. In any case, one thing can be said for certain: their delivery is as genuine as it is impressive. North American fans will have an opportunity to see In Solitude live this Fall. The band will be supporting Watain on their Wild Hunt tour beginning on October 8th in New York City. The tour also features support from Tribulation. 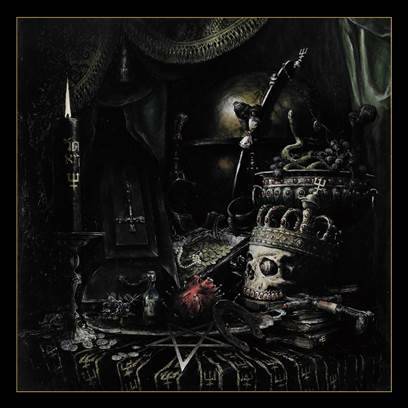 This week sees the beginning of The Wild Hunt – the latest album from Swedish black metal heroes Watain, which is released today (14th August) in Sweden, 16th August in Germany, 19th August in the UK, 20th August in the US and the rest of the world early next week. More info on the new album can be found in this interview with Watain vocalist E.
Pre-order links and audio samples can be found on the band’s official website. European tour dates are still to be announced. For those of you who don’t know who or what Andrew WK is… What the hell is wrong with you and what planet do you live on? I mean really… A week or so ago, Andrew WK played a solo gig at a place called Kingdom in Richmond VA and it was the most epic show I had been to in quite some time. It was a full on party. Venues will be confirmed and announced soon. Tickets go on sale January 23 at this location.